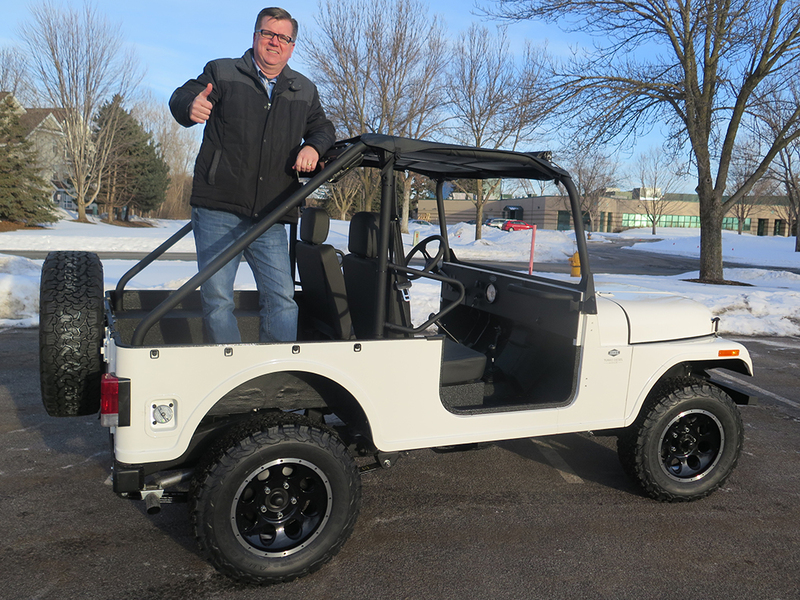 Mahindra Automotive North America today launched the company’s first off-road vehicle for the U.S. market — the Roxor — at its Auburn Hills, Michigan, assembly plant. 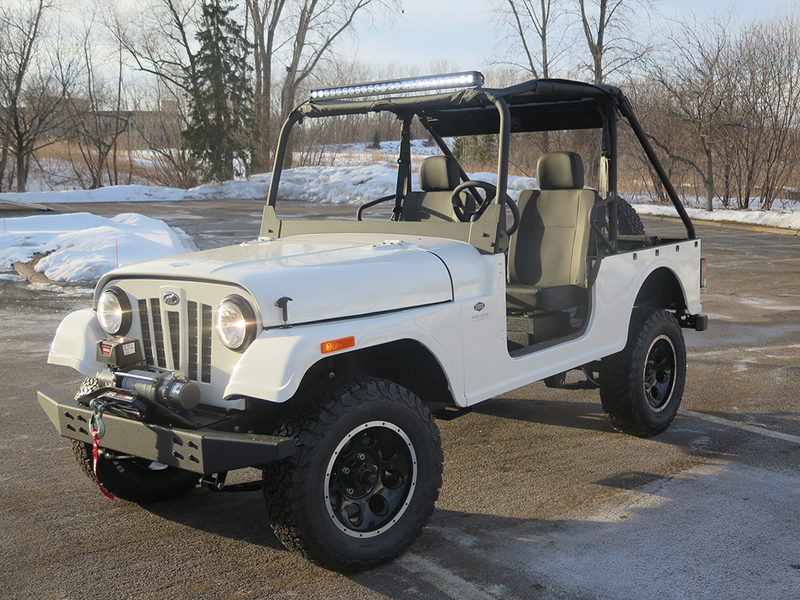 For private land use only, the Roxor base model with premium wheels and tires has a $15,499 MSRP and will be distributed exclusively through a current network of more than 240 powersports dealers in the U.S.
Like the Willys that Mahindra manufactured in India for postwar Pacific Rim nations beginning in 1947, the Roxor features plenty of moxie, starting with its turbo diesel engine. It also offers 2,000 pounds towing capacity, 9 inches of ground clearance and 62 horsepower. Maximum speed on the 5-speed manual is 50 mph. 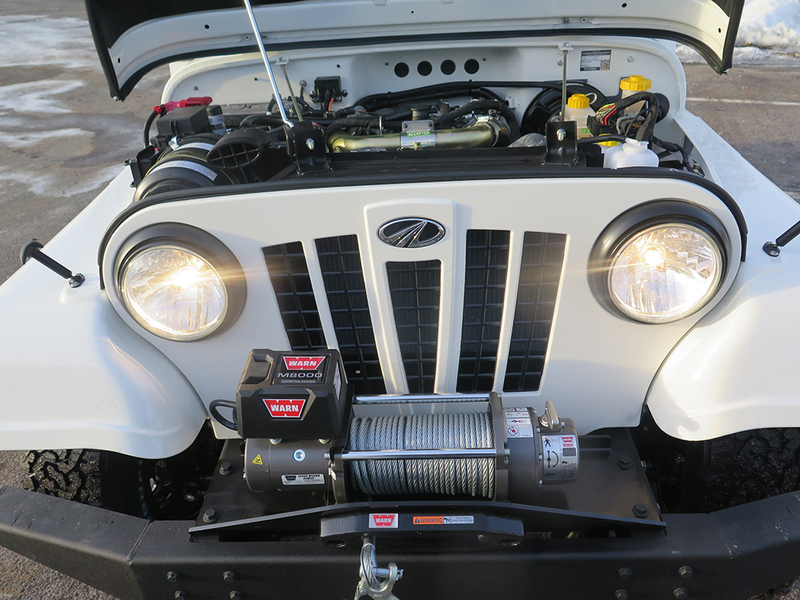 Parent company Mahindra, based in India, has been building vehicles for over 70 years. Its yearly automotive production output is 600,000 vehicles. Of course, Mahindra also builds tractors, automobiles, airplanes, motorcycles and more. Roxor’s 400,000 square-foot Michigan operations come fully supported by the $19 billion company. Today’s launch is just the start of a future lineup that will be designed to complement many different channels of specialized businesses — construction, community work, ranching, search and rescue and recreation. Roxor admits to a new way of doing business with dealers, with an automotive-style retail model, including a true order-to-delivery, dedicated factory with all units assembled in Michigan. The company says its margins and exclusive dealer territories are significantly larger than that of a traditional powersports manufacturer, including a five-year dealer agreement, compared to the traditional one-year pact. Next, targeted marketing and a mobile marketing tour are under development for a Spring 2018 launch, all designed to drive leads and customers into dealership showrooms, as well as phones and inboxes. The official rollout for dealers is March 18-21 in San Antonio. Some have already reportedly placed orders by the dozen. 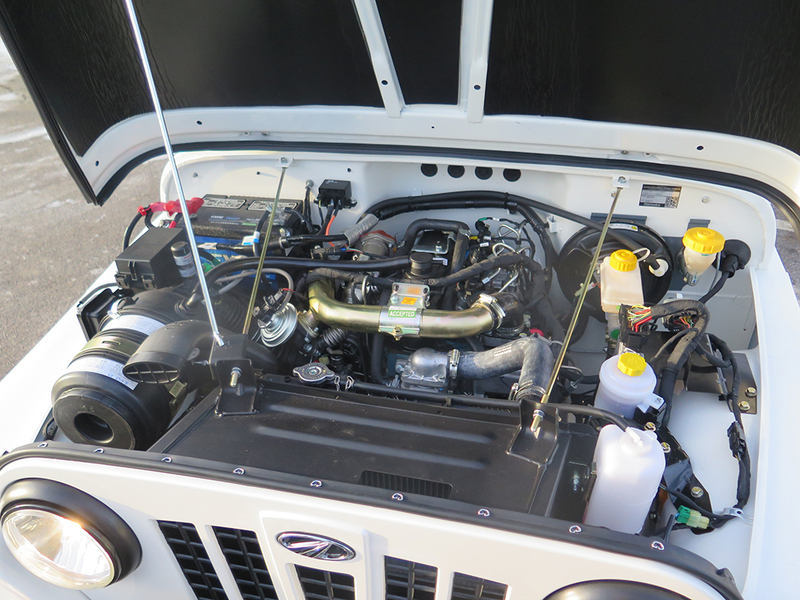 Our take is that farmers who prefer to lift up the hood and see a diesel engine that they can access is the first-tier consumer, potentially making it more desirable than a traditional side-by-side. And of course, non-farmers with land also appear to be desirable customers. Its crossover appeal targets a variety of end-users, including powersports, hunting and fishing, and 4x4 off-roading. The Roxor LE (Launch Edition) is an upgrade that has an $18,899 MSRP. 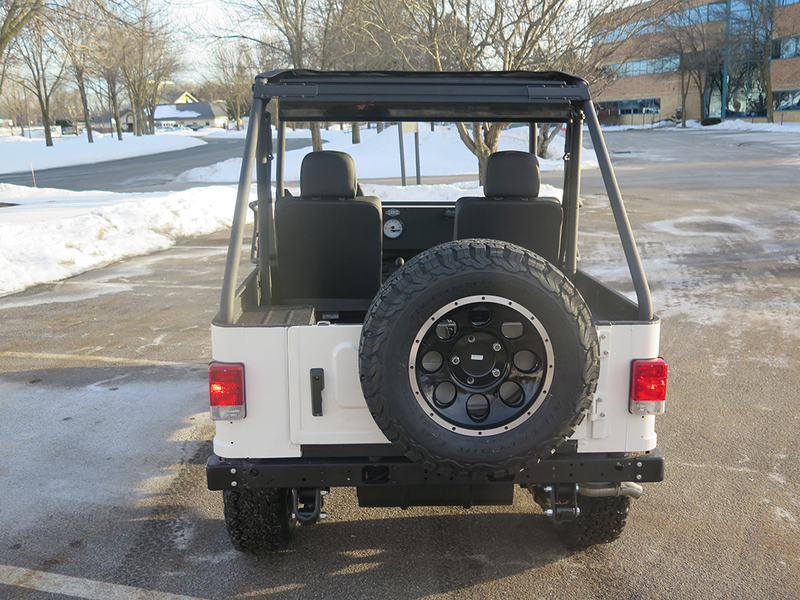 It includes a bumper, Warn winch and AGM battery; light bar; mirror kit (3); BF Goodrich tires; aluminum wheels; special Launch Edition graphics; bikini top; handles; and sound bar. “No other vehicle on the planet has the heritage, durability and reputation of this vehicle. It has helped win wars, explored continents and taken its occupants anywhere and everywhere around the globe. This is truly an ORIGINAL off-road vehicle with modern innovation. “Like a reliable, economical and long-lasting, 4-cylinder turbo-diesel engine. Four-wheel drive to get you where you need to go. A sturdy box steel frame, proven 4-speed automotive transmission and a rock solid, reliable drivetrain. With additions like big wheels, high tech tires, front disc brakes, hydraulics, fuel injection and electronic ignition, making the perfect blend of ‘old school simplicity’ and ‘current technology. “Invest in an ‘industrial strength Roxor today and be prepared for the fun of accessorizing and customizing. This simple platform has proven itself worthy. Parts and accessories that integrate to wherever you imagine the perfect terrain can take you will always be available, so get ready to make it your own. Following is Roxor data obtained by Powersports Business prior to today’s launch. Check out a full report from the launch in the upcoming edition of Powersports Business.